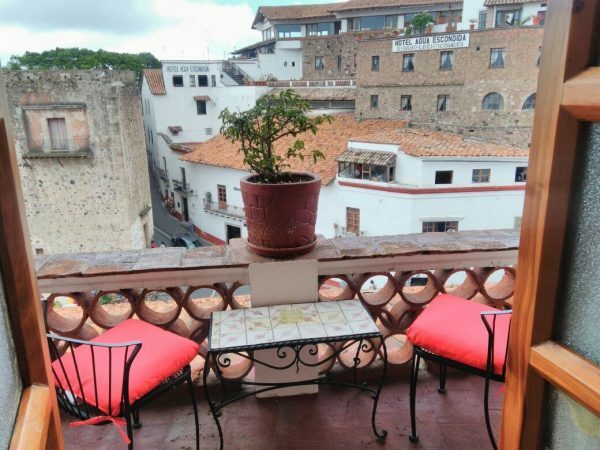 Located on the top floor of the house, El Estudio, has it’s own private entrance and private terrace overlooking the Church of Santa Prisca. 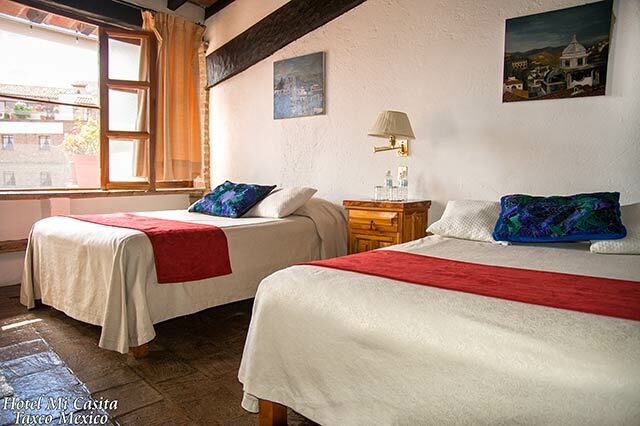 Features a main room with King size bed, and an adjacent room with a full size bed. 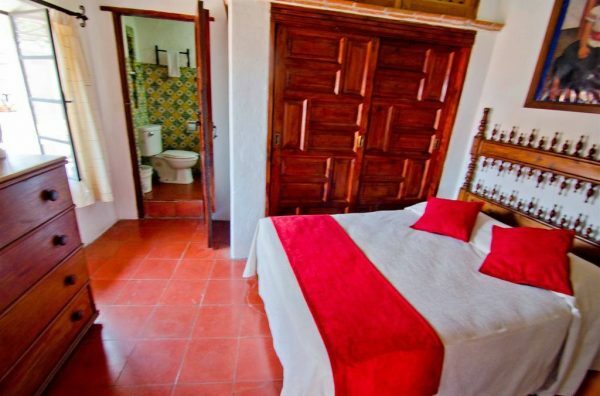 The decor is authentic Mexican-Colonial has it’s own private bathroom with antique talavera tiles. 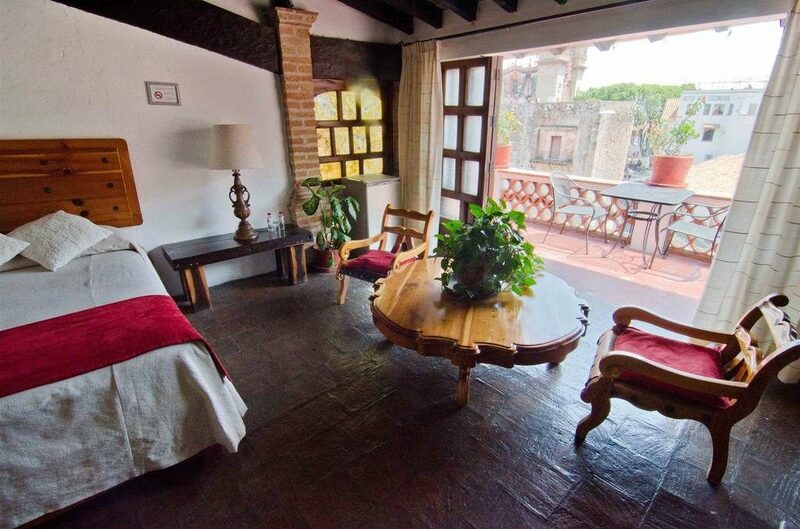 El Secreto de Amor – The Love Suite, is very popular with couples coming to Taxco to celebrate their anniversary, and to get married. 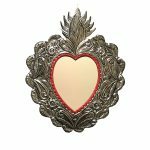 It’s decorated with authentic colonial furniture, with accents of hearts made from local artisans, and has it’s own private bathroom. 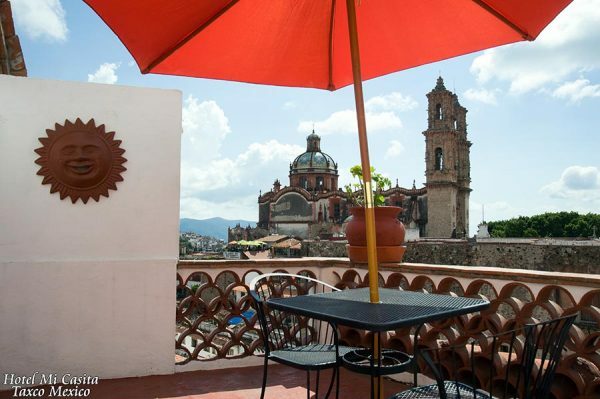 El Secreto de Amor, also has it’s own terrace to relax, and enjoy the splendid views of the city and Santa Prisca church. Ask us about our Romantic packages! 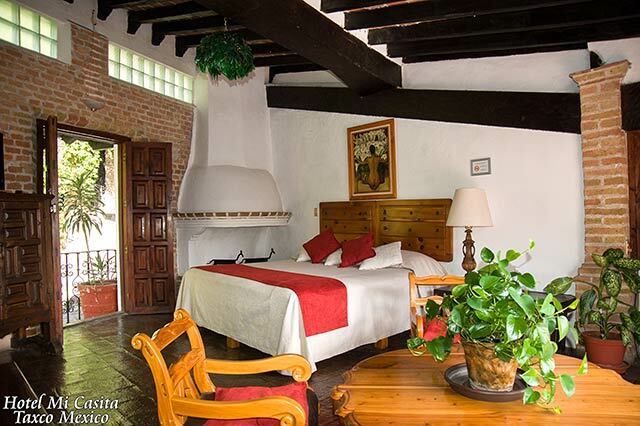 Los Recuerdos suite is located on the top floor of Mi Casita. 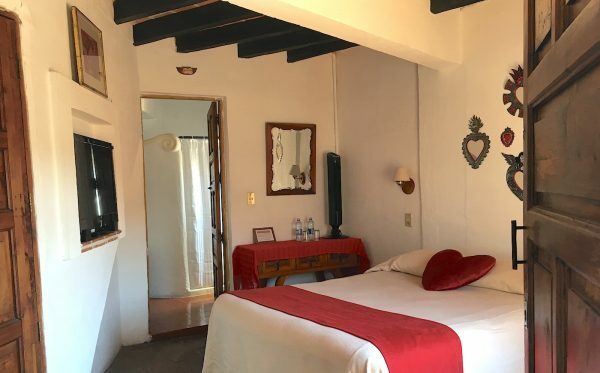 The set up has a main room with 2 queen beds and it’s own private bathroom separating it from an adjacent room with one queen bed. 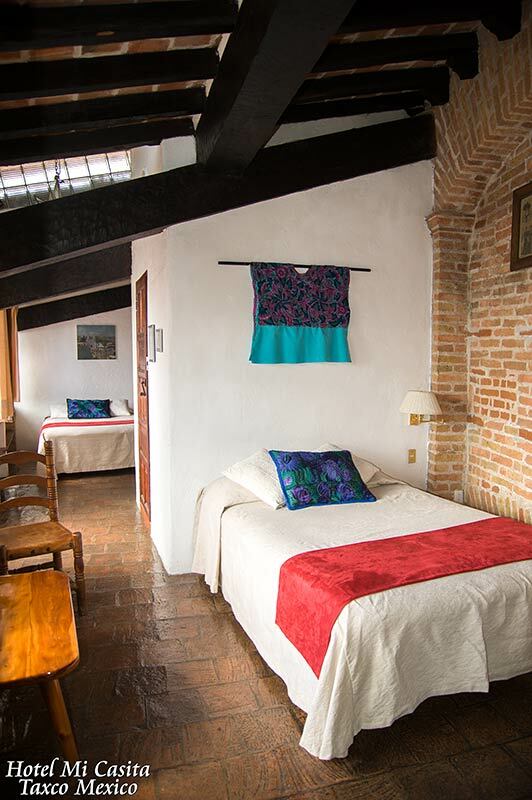 The room is decorated with authentic colonial furniture, featuring splendid views of Santa Prisca from it’s own private terrace.